RC Willey is searching for extraordinary Cashier/Customer Service Associates. Starting wage is $11.57 - $12.65, depending on experience . RC Willey offers competitive benefits including medical, dental, and vision insurances, vacation & sick leave, 401k with company match, profit sharing, employee discounts, off Sundays and more to all full time associates. JOB RESPONSIBILITIES: Greet and interact with customers by telephone or in person and provide information about merchandise and/or services. Perform transactions by collecting payments. Assisting with light food preparation for in-store cafe. Followup with customer issues and service requests. All other duties as assigned. MINIMUM JOB REQUIREMENTS: Strong attendance record. Good work history with experience in customer service and cash handling. Basic clerical and organization skills. Basic computer and 10-key skills. Great communication and interpersonal skills. We require all employees to undergo a criminal background check and drug screen. If you are qualified for this position, please click on the link below or visit our this location to complete an application. The Media Sales Representative is responsible for selling space on 24HF digital advertising boards to medium and small sized local businesses. This role will work almost exclusively out in the local communities to identify, generate, and close leads to achieve weekly, monthly, quarterly, and annual digital media sales budgets. Media Sales Representatives work to continuously fill open media spots for advertising boards within their assigned clubs. This position will also work in the field to identify and facilitate cross-marketing events between local businesses and club teams. ESSENTIAL DUTIES & RESPONSIBILITIES Outside Digital Advertising Sales Navigates from business to business to make contacts, identify prospects, prioritize sales efforts, and secure sales opportunities. Creates business to business sales presentations using market trends and case studies. Information for marketing materials for businesses is gathered while in the businesses and communities. Develops new client relationships, prepares and presents sales proposals in person to local businesses, and closes new or renewal advertising accounts to meet/exceed revenue goals within a designated territory. While in clients' businesses, builds relationships, represents the 24 Hour Fitness brand well, and delivers compelling presentations. Travels between club locations and local businesses to promote cross-marketing events in partnership with club team and business clients. Meets with prospective clients at their place of business to initiate sales and marketing contact. While in a community, moves between prospective businesses to execute the approach for the specific market, develops work plans, and creates compelling sales propositions utilizing internal and external data. As assigned, trains new Media Sales Representatives by coaching them about the sales process and training them through job shadowing in businesses with clients and while on business contacts. Gives coaching and guidance as assigned to new or developing Media Sales Representatives by listening and assisting them in contacting business leaders, developing presentations and presenting to clients in their business the advertising opportunities. Develops and uses knowledge of company's products, services, processes to facilitate closing of sales while meeting with clients. Sales Administration Analyzes campaign performance statistics and recommends performance enhancements in sales tactics to achieve improved ad revenue. Uses metrics to measure the growth and performance of accounts; provides reports and attends meetings as directed. Consistently meets or exceeds weekly, monthly and quarterly ad revenue production goals. Participates in sales meetings or conference calls and remains open to coaching and training. Performs timely and accurate data entry of sales activity in the reporting database to effectively track prospects, consumers, and businesses. REQUIRED QUALIFICATIONS Knowledge, Skills & Abilities * Demonstrated ability to develop and work leads through strong phone prospecting, cold-calling, and closing skills. 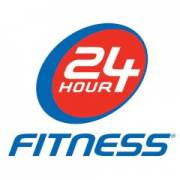 * Excellent written and verbal communication skills and the ability to represent 24 Hour Fitness professionally in a business environment with local business decision makers. * Ability to develop, maintain, and retain a network of community-based business advertising clients. * Ability to work with general supervision, while maintaining productivity and meeting budget expectations. * Ability to multi-task and provide timely reporting to Director on status of sales pipeline. * Highly motivated, goal-oriented, analytical, detail-oriented, and a team player with a can-do attitude. * Strong skills with Microsoft Office suite, including Word, Excel, and PowerPoint. * Ability to develop customized and dynamic sales presentations tailored to the specific clients business needs. * Ability to implement external marketing strategies to influence the various business communities. * Ability to train, coach, and develop others to perform the role at a high level. * Proven sales leader with a track record of meeting or exceeding sales goals. The Fitness Manager (FM) ensures that the club delivers a high-quality fitness experience to all members. Essential Duties & Responsibilities : Responsible for communicating and upholding company standards and leading by example for delivering the 24 Hour Fitness Service Promise; manage a clean, friendly and well-maintained club Ensure team members consistently execute the basics in punctuality, dress code compliance, friendliness and cleanliness Hires, trains and develops a strong team of Personal Trainers Responsible for the successful attainment of department targets, including revenue and member retention Point of reference for fitness expertise within the Club Conduct weekly (or as-needed) meetings with direct reports to review performance and offer direction, motivation, and guidance toward achieving individual and company goals Manage the Personal Trainer schedule Mediates club employee relations matters for all club fitness employees Ensure that all club members have access to a highly trained and professional fitness staff able to provide fitness counseling, training, and programs within 24 Hour Fitness standards Ensure that all Personal Trainers are delivering high-quality programs to their clients Ensure accurate administration of Personal Training including client files, measurement tracking, and workout programs Regularly train staff on industry updates and coaches personal trainers to be continually successful to ensure that all clients are trained professionally Direct selling, including achievement of personal monthly sales quotas Conduct personal training sessions as necessary Qualifications: 1-2 years as a Personal Trainer preferred Prior management experience in retail/hospitality industry leading 3-10 employees (preferred) Consultative sales experience (preferred) Knowledge of Personal Training technique and program design Must be able to adjust and operate all club equipment Experience in coaching/motivating groups Strong interpersonal & communication skills Possesses a strong member service focus. Description In 1910 a cooperative of 230 California almond growers formed with the following core values: To build strong relationships among growers and with their customers; To communicate directly and honestly; and To work as a team to realize the best return on their investment. More than a century later, Blue Diamond Growers still adheres to these values at every level of our operation. Our employees are strongly committed to the brand and to each other – the word “family” is often used to describe our culture. Today, Blue Diamond Growers represents more than 3,000 almond growers in California – the state that provides over 80% of the world’s almond supply. 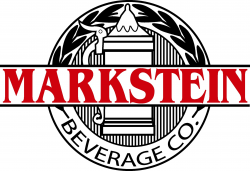 We are one of the most recognized food brands in the world, with annual sales exceeding $1 billion. We believe in transparency and honest communication. And our work style is still team-based, working together to innovate, process, and distribute the best almond products to the world. After more than 100 years, our core values of integrity, partnership, innovation and quality remain strong. Our commitment to excellence has driven Blue Diamond’s unprecedented growth, innovation, high quality, and value. You’ll find these values at work throughout our company. We strive for a diverse workforce, always aiming for greater levels of inclusion. In addition to a robust benefits package, we offer an employee wellness and fitness program, in which a majority of our workforce currently participates. Grow your career. Partner with us. We Are the Almond People! 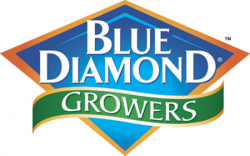 Position Title: Assistant Operator Location: Sacramento, CA Job Type (Full Time/Part Time): Full Time Wage: $19.25/ hour Travel Required: No Shift: Swing Position Overview: Blue Diamond Growers has an excellent opportunity for a motivated, organized individual seeking a challenging and rewarding opportunity in a fast-paced environment. The Assistant Operator is responsible for understanding and supporting the major functions of line operations by keeping the line running safely and efficiently, and being the first backup to the operator. Responsibilities: Performs daily set up, assists operator with adjustments to production equipment and is ready to backup operator as needed. Must understand line operating functions, ensuring that production safety and quality standards are met. Able to maintain and complete necessary production documents. Capable of performing sanitation, housekeeping, and some mechanical functions for designated line. Contributes within a team environment leading to production improvements and required to cross train individuals as needed. Must understand and adhere to Blue Diamond line certification, HACCP process, Good Manufacturing procedures (GMPs) and safety procedures. Maintains adequate inventory of supplies. May be required to inventory material usage. Required to operate forklift/transporter. Performs other duties and responsibilities as required or assigned by Supervisor. Required Minimum Qualifications: Must be able to pass the operator certification (AON) test. One (1) year of applicable experience or equivalent combination of education and experience. Previous Machine Operation experience preferred. Educational Requirements: High school diploma or equivalent required.